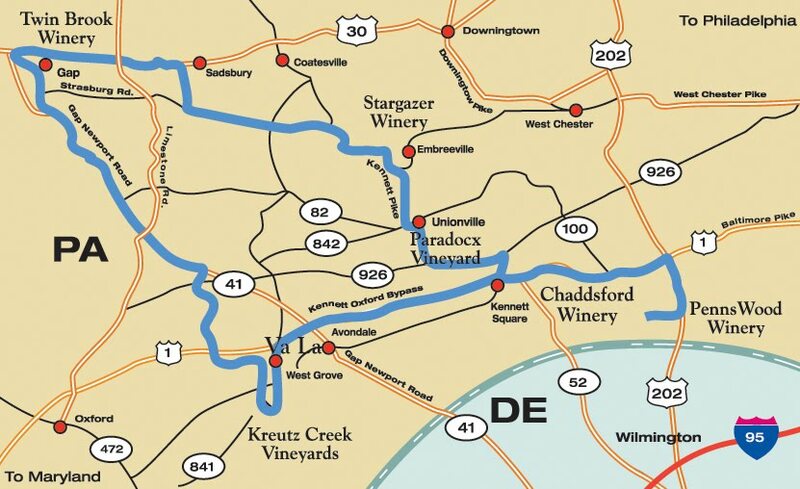 Our wineries are only a short distance apart in Brandywine Country. Spend a day, or a week, visiting them and getting a taste of our countryside. 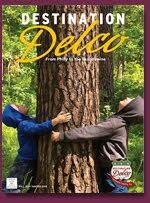 Join us for the newest Chester County tradition! Wine, Polo and Music each Friday night this summer. Spend a relaxing evening under the stars listening to live music, watching polo and sipping great regional wines. Pack a picnic or purchase delicious eats from Carolina Pit Stop Southern Bar-B-Que. 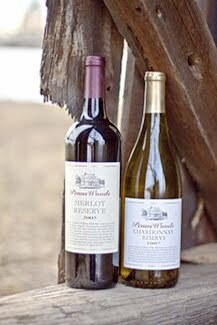 Wine will be sold each Friday night (by the glass and bottle) by a Brandywine Valley Wine Trail member winery. For more information, please visit Friday Nights Under the Stars. Complete all your holiday shopping as you relax at our wineries on December 3 and 4! We're setting the stage for stress-free holiday shopping. The wineries will be decorated in their holiday finery and will be hosting carolers, holiday musicians, and special holiday sale pricing! Forget fighting the crowds at the malls. Wine always fits, so shop with us! It all started one day in 2001 when Lance, Valerie, Jack and Karen decided to try their hand at winemaking. Their friends joined in and they processed 500 lbs. of grapes for their ‘unofficial’ first crush under a canopy of Black Walnut trees at the home of Lance and Valerie. This very quickly became an annual event. Several years later, they began to talk about opening a winery. In the fall of 2006, friends and family came out to participate in the first official crush at Black Walnut Winery. We invite you to visit our winery to sample our wines in our distinctive tasting room. Harvest Festival- Wine, Music and Food! 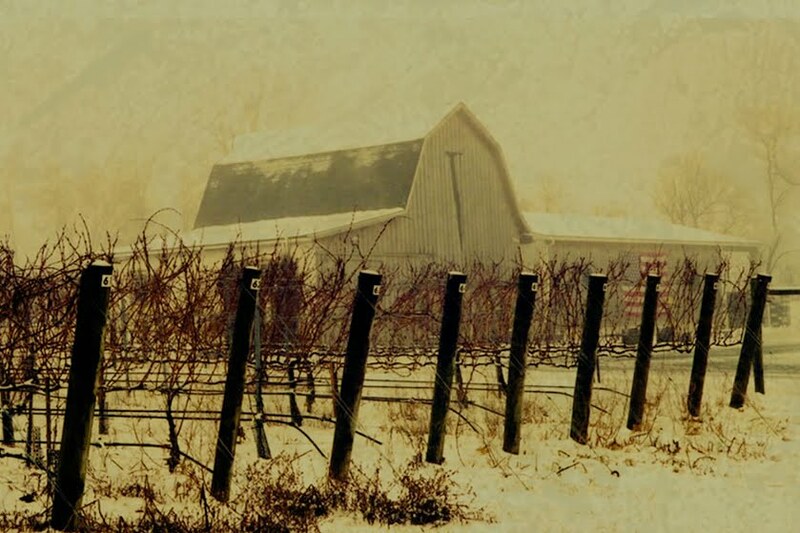 Chaddsford Winery was founded in 1982 by Eric and Lee Miller who have been intimately involved in the growth and development of the premium eastern wine industry since its emergence onto the American wine scene in the early 1970s. 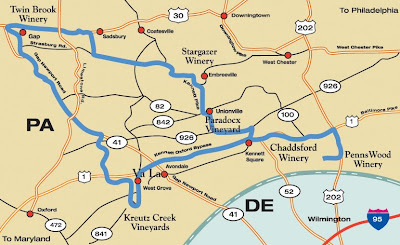 Their combined 60 years of experience in enology, viticulture and wine marketing brought a unique background to the Chaddsford Winery that is largely responsible for its unparalleled success in moving to the forefront of the industry. 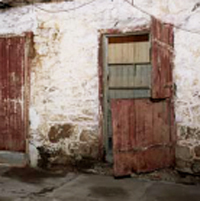 Located on a small country estate in the heart of the Brandywine artist community – halfway between Philadelphia and Wilmington, Delaware – the winery is housed in a charmingly renovated colonial barn that is open for visitors year round. 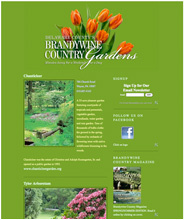 It is just two miles away from the world renowned Longwood Gardens and the Wyeth family's Brandywine River Museum. Join us for wine from the Tiki bar and light music on the Chaddsford Winery deck. Labor Day Weekend CelebrationSpend a fun holiday weekend close to home. No big festival this year but we’ll be offering light acoustic guitar music on the deck, wine tastings and outdoor picnicking. ▪ September 3: Rory Sullivan Trio: 12:00 - 3:00 P.M.
Mike Favinger: 3:00 - 6:00 P.M.
▪ September 4: Dana Lee & Howie: 12:00 - 3:00 P.M.
Josh Komorowski: 3:00 - 6:00 P.M.
▪ September 5: Larry Rooney: 12:00 - 3:00 P.M.
See the harvest first hand and have a grape stompin good time at this weekend festival sponsored by the Brandywine Valley Wine Trail. Your passport entitles you to visit all seven member wineries in southern Chester County. and the mouth-watering aroma of hot mulled Spiced Apple Wine! Relax and picnic on the outdoor deck and grounds with music "lite" and our yummy hot mulled Apple Wine punches. 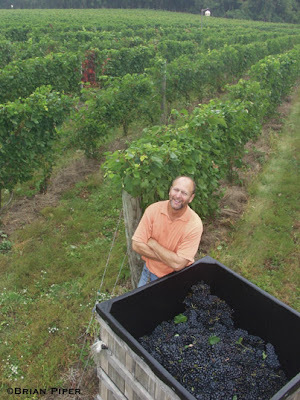 Kreutz Creek Vineyards – Jim Kirkpatrick is the winemaker for Kreutz Creek Vineyards. He started making wine from a kit that his wife, Carole, gave him for his birthday in 1989. (Carole truly believes that’s how the “monster” was created.) Since everyone liked the wines from the kits, Jim and Carole thought they would try their hands at growing grapes. They moved to another home with 3 acres of land in Wrightsville, Pennsylvania where they started a small vineyard. Their home was located 100 yards from Kreutz Creek — hence, the vineyard was named. 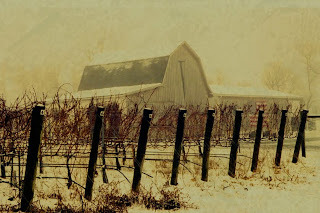 Wines include: whites including Chardonnay, Vidal Blanc, Niagara and Holiday Wassail, reds such as Cabernet Franc, Chambourcin and Proprietor's Red, rose, and dessert wines. Bring a picnic, enjoy a bottle of wine, while listening to Live Music by Aniya. Bring lawn chairs, blankets and a picnic to enjoy live music Under the Big Top: Motown and Funk by The Red Alert Band. $10 admission fee. Come enjoy Live Music: Jazz by Greg Orlando. Jazz in the Vineyard by the Dave Renz Band. Guaranteed Good Time – Live Jazz Music by Aniya, Tasty Wines and our infamous Pulled Pork Sandwiches! 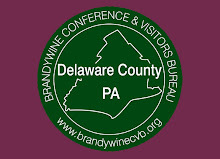 This is a Brandywine Valley Wine Trail Passport Event. To purchase your passport and for additional info, please visit www.bvwinetrail.com. Bring your well behaved pooch and receive $2 off each bottle of wine you purchase. Paradocx Vineyards, nestled among the rolling hills of southern Chester County, Pennsylvania, combines current technology and handcrafted secrets to create unique wines, made from homegrown grapes, and from those of only selected custom growers. Moderating influences of the Chesapeake and Delaware bays and the southern sloping mica soils afford Paradocx a unique mesoclimate in the region. This mesoclimate coupled with state-of-the-art viticulture practices, create a winning combination for this 5,000 case winery. The owners and management of Paradocx Vineyard, who share a fervent passion for winemaking, adhere to the principle that winemaking begins with success in the vineyard. Penns Woods Winery is the result of Gino Razzi's lifetime of experience in the world of wine. A respected importer and distributor of wine, Gino is an Italian immigrant from Abruzzo, in southern Italy. With three decades of success as a wine importer, in 1999, Gino turned his experience towards the craft of winemaking. He finished his first wine in 1997 ,Symposium , a Montepulciano d’Abruzzo was his first commercially released wine, and was awarded 95 points by Wine Spectator Magazine. This publication recently honored this wine again with its inclusion in the retrospective article “Italy's Golden Vintage - the 1997 Harvest” in 2007. Gino's pursuit of perfection led him to his own back yard. 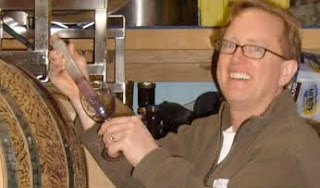 In 2002, he began to craft wines from Pennsylvania–grown grapes. To his surprise, he found that great wines can be made in Pennsylvania. A showcase of Ferraris contemporary and classic, local food, vendors, wine bars and raffle items. Join us at Penns Woods Winery to enjoy a 30 minute gentle yoga class in our vineyard followed by a wine tasting paired with flavorful gourmet cheeses and chocolate truffles. The experience will emphasize youth, not as skin and muscle tone, but the vibrancy of spirit when balance is practiced. Two fun filled weekends during the harvest season. Penns Woods Winery is bringing in fall with Free Live Music, Wine Tastings, Infused Olive Oil and Aged Balsamic Vinegar tastings by L'Acetaia, Hot-Off-The Grill food made by Yellow Spring Catering , and fun games like washers, hoola hoop, jump rope, and footballs for the whole family! Starting November 1st, Penns Woods Winery will be serving spiced mulled wine in addition to our regular tastings! We have our most popular mulled wine kits for sale! They make the perfect hostess gift for any party! Finish all of your holiday shopping at Penns Woods Winery! We will have $5 wine tastings, FREE spiced mulled wine to taste and purchase, and wine for sale up to 30% off. Complete all of your holiday shopping as you relax at our winery in December! We are setting the stage for stress-free holiday shopping. Two weekends in December relax to the sounds of holiday music from around the world as you shop for the perfect presents for the holidays! Twin Brook Winery - Picturesque Lancaster County estate winery has 67 acre vineyards and a beautifully restored 19th century barn, housing state of the art wine-making facilities and rustically elegant tasting/sales room. Lawn concerts are held every summer on Saturday nights. Wines include varietals made from vinifera and hybrid grapes, as well as delicate blends. Twin Brook offers a selection of wine intended to appeal to nearly every taste, ranging from dry to sweet, sample dry, oak aged Chardonnay or Pinot Gris, off dry Cayuga, sweet and fruity Vignoles, to our limited edition seasonal wines, such as our popular Spice Wine. Victory Brewing Co. Presents the 3rd Annual CCSPCA BrewBQ at Twin Brook Winery! We are looking forward to another successful year as Victory hosts our 3rd annual BBQ competition at Twin Brook Winery which benefits the Chester County SPCA. - Lawn Concert: "Ragtime Willi" (2PM - 5PM) FREE! - Lawn Concert: "Amy Ash & the Volcanoes" (2PM - 5PM) Free! - Lawn Concert: "Maya Blue" (2PM - 5PM) FREE! Va La Vineyards – Va La is a microwinery, devoted to the creation of wines from a tiny piece of land.The name Va La is in recognition of a village in northern Italy called Giusvalla,population 400, from which our family immigrated. The phrase ‘va la’ translates to “go there” in proper Italian. 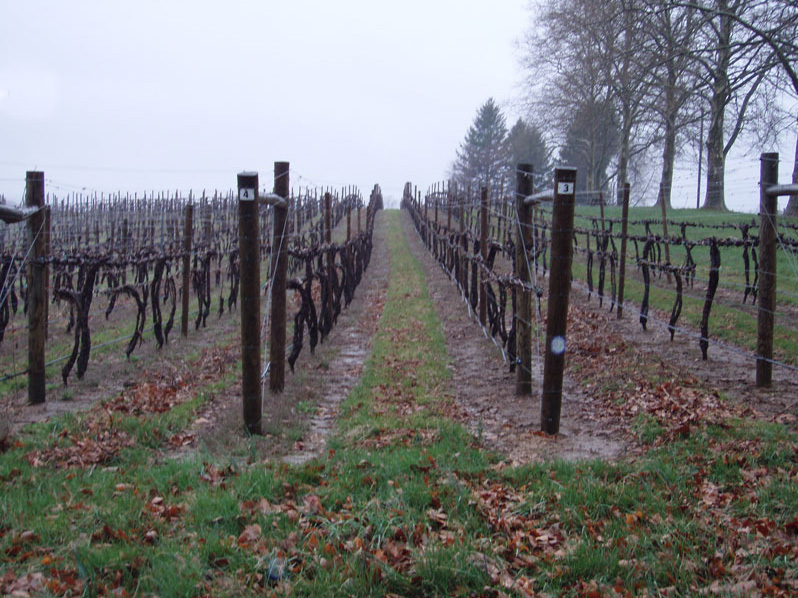 The home vineyard contains 6.73 acres of land .The wine is produced in batches of one to nine barrel and the total production is approximately 500 to 700 cases a year. The winemaker is the caretaker of the vines, and the fruit is harvested by hand. At harvest, the many niches from a particular region are brought together into a single wine;we view the wine as a collection of the ‘voices’ that describe a certain area of the vineyard,the components of the wine are essentially determined by the vineyard itself. In these wines we seek to express the small field we are blessed to occupy. Saturday September 3 & Sunday September 4 — Chef Jamie of Lilydale visits the vineyard with his magical rolling kitchen and Special Endangered Species menu, sprinkling empanadas, baguette sandwiches, (noon - 5:30 pm weather permitting). PLUS: Tanned, rested, and ready: The Glenn E. Williams Jazz Trio – 2:30 - 5:30 (weather permitting). September 30, 2011 : Wood Fired Pizzas in the little vineyard by Chef Mathew Hans, 5:30- 8 pm (weather permitting) Live on the piano, friend to all animals: Mr Glenn E. Williams. 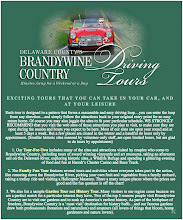 Click image above for information about Driving Tours through Brandywine Country.